The US Senators chairing the Senate Armed Services Committee have urged their government to press for the release of all political prisoners in the Maldives, including former President Mohamed Nasheed. Mc Cain, a Republican, and Reed, a Democrat, have also filed today an amendment to the annual military policy bill, which expresses Congressional support for Nasheed and other political prisoners’ release. The bill, now on the floor of the Senate, tops US$600billion in costs. Important provisions include authorising and funding lethal arms for Ukrainians against Russian-backed separatist forces. The president’s office was not responding to calls at the time of going to press. President Abdulla Yameen insists that Nasheed was granted due process, and said he has no constitutional authority to release the former president. He has now called for separate talks with the three allied opposition parties. But there has been no substantial progress yet. “In short, while the Maldives may be a small island nation, there are big principles at stake,” the senators said. The parliament of the European Union in April passed a resolution urging the Maldives to free ex-president Mohamed Nasheed and calling on member states to issue warnings on the Maldives’ human rights record on their travel advice websites. Nasheed’s international legal team is lobbying for the former president’s release, and is seeking a ruling from the UN working group on arbitrary detention declaring Nasheed’s imprisonment to be illegal. The lawyers are: Jared Genser, the founder of the renowned campaign group for political prisoners Freedom Now, Ben Emmerson, former UN rights chief on counter-terrorism and human rights, and Amal Clooney, who has advised the UN and is the wife of Hollywood actor George Clooney. The working group’s decision on Nasheed’s detention will affect the international community’s policy towards the Maldives, and would inform decisions on possible sanctions, lawyers have said. Genser has represented Nobel Peace Prize laureates Aung San Suu Kyi and Liu Xiaobo, while Clooney has counselled political prisoners such as the former Prime Minister of Ukraine, Yulia Tymoshenko, and Al Jazeera journalist Mohamed Fahmy. Emmerson, meanwhile, is currently the British judge on international tribunals on Rwanda and the former Yugoslavia. Bla bla bla can't influence domestic affairs! Bla bla bla better do something about the flaws in your own country! (1) We don't influence the judiciary, etc. Translation: We've handpicked all key position in the judiciary over many years. We've bribed them to the hilt with apartments in Male, jobs for life etc. They'll always tow the regime's line. If not, we'll use our parliamentary majority to change the laws if we have to. (2) We have impartial independent institutions. Translation: Same as (1) above. Should any of these "independent" institutions start growing an independent mind, we'll use our majority in Parliament to bring them in line! Conclusion: Words need to be followed by action from the Americans, EU etc so that the regime starts listening. I call the U.S government to send their jets over Male and give the dictator of Maldives a good message. India should play a role to straighten up the current arrogant anti democracy regime in Maldives. Give clear message that India cannot tolerate dictatorial autocratic regime in their back yard. India can do a lot to bring back this stubborn government to their sense. Simply isolate them and put travel and economic embargo and let see how long they can go with bagging bowl to China and what Chinese traditional medicine can help medicine obsessed population in Maldives specially Indian cheap effective medicine and their doctors. 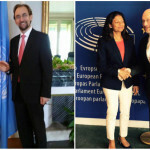 India has international obligation to help Maldives to strengthen their democracy especially when it is challenged with anti democratic force who violate all international norms and binding to up hold human rights, freedom, democracy and rule of laws. USA should encourage India to take action as India has more leverage on their tiny neighbor. I am not a supporter of YAG, but what logic/rights these guys have to speak on freedom and human rights when these guys are blind and duff over what is happening Palestine, Egypt, and Miyammar (the so called "human rights champion"), shame on you guys, that's why we say your interference in Maldives affairs is not genuine!!?? 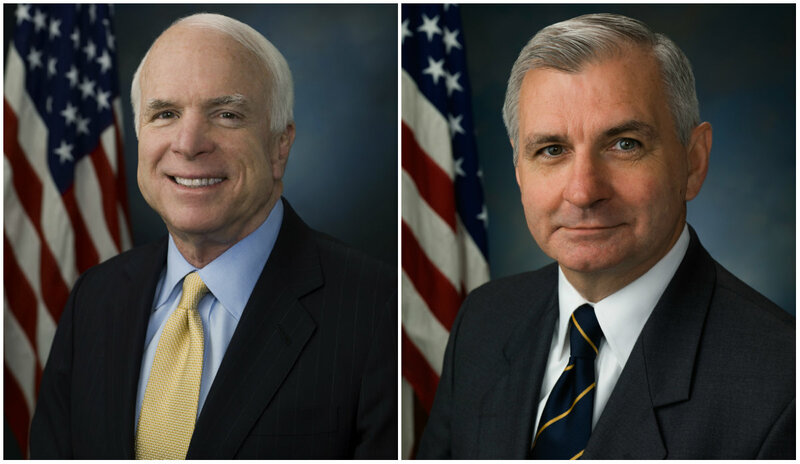 Hello US Senators John McCain and Jack Reed, we all Maldivian are with you, we all love American governments and American peoples because they stand against tyrants,dictators, give a hope unlike our brother Muslims countries. please come and freed us from jaws of dictators give us freedom of democracy teach us democracy.